Ready to Ride - Bring it on Spring! Good news! Motorcycle season will be upon us very soon and we’ll be hitting the pavement (or dirt) any day now. It’s time to get those 2, 3 or 4-wheelers out of storage and shine’em up because our weather forecast is calling for fair temperatures in the coming weeks. That being said – first thing is first – dust off the gear and get the pre-checks done, nothing worse than heading out and realizing “right, she needs a new tire!” After that’s checked off the list, its smooth sailing, nothing but scenic surroundings and the sound of your engine on the open road. We’ve partnered up with Jeff Pennock of Virtual Riding TV who has some fabulous videos showcasing this beautiful place we live. These videos always get me pumped up and excited about planning some routes for the ‘first ride’ of the year http://www.vridetv.com/videos.html. Get ready Spring, here we come! 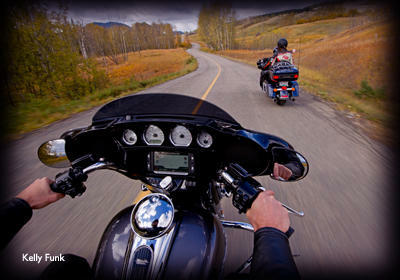 Don&apos;t forget to check out our Self-Guided Motorcycle Tour Map for both off and on road routes!